This enchanting 2019 30 gram Chinese Gold Panda 500 Yuan Coin is the newest release in the iconic Gold Panda coin series from the renowned Chinese Mint. Issued in 1982 by the People’s Bank of China, the beloved Chinese Gold Panda series was produced from .999 fine gold. Initially, this splendid coin was available in 1/10, ¼, ½, and 1 oz. sizes, but later the mint also added the 5, 12 and 1/20 oz. size options. These impressive bullion items are internationally praised thanks to their changing reverse design which depicts each year a new image of the adorable panda bear. 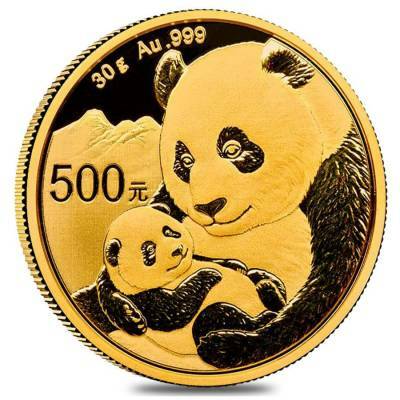 In 2016, the People’s Bank of China established a new weight for these astounding coins - grams - and now Chinese Gold Panda bullion coins are available in 1, 3, 8, 15, and 30 grams while proof editions are struck in 1 kilo, 150, 100, and 50 grams. Made from .999 fine gold with a weight of 30 grams. Minted by the renowned People’s Bank of China. Comes with a 500 Yuan denomination. Eligible to be included in Precious Metals IRA. Reverse: Showcases the latest image of the adorable panda bear. Inscriptions: the purity, weight, and denomination. At Bullion Exchanges, you will find a wonderful selection of spectacular gold bullion coins. 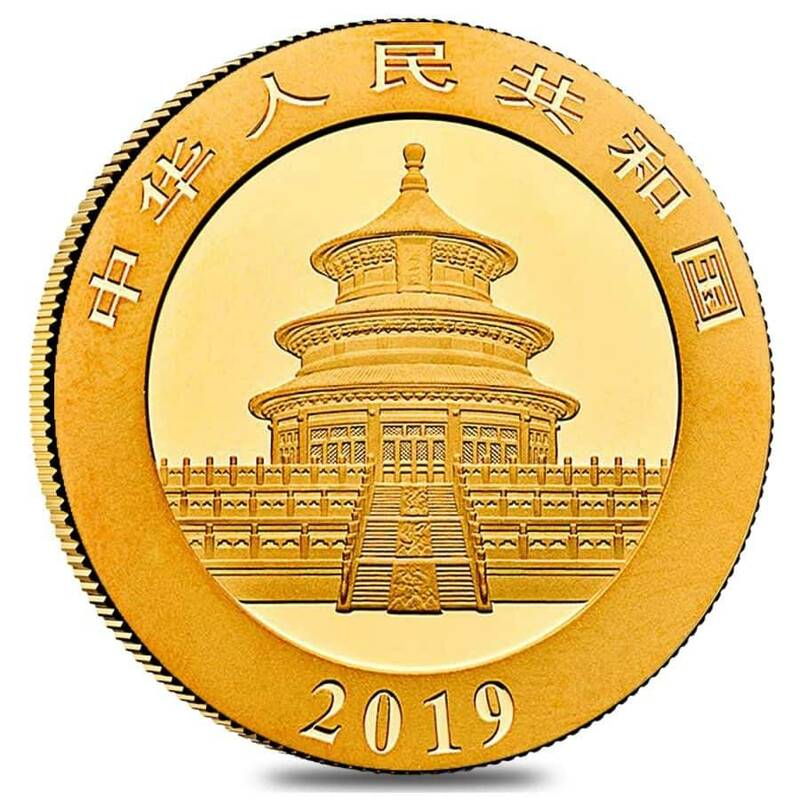 Add this superb 2019 30 gram Chinese Gold Panda 500 Yuan Coin to your collection today, and it will be carefully wrapped, packaged and delivered to your address in no time. If you have any questions, just write or call us at 800.852.6884, and we’ll be happy to assist you. With this purchase, you earn 1293 Bullionaire Bucks 1293 BB = $1.29. We currently have 102 of this item in stock. For every $1 spend, you will earn 1 Bullionaire Buck which is equivalent to $0.001 off a future purchase. 1293 BB = $1.29.